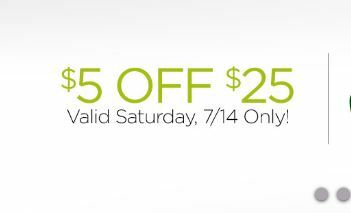 Dollar General is offering a $5 coupon for your purchase on Saturday, 7/14. Might be a good time to grab some school supplies! They are fully stocked in stores now! Shop in-store on 7/14/18 and save $5 off a $25 or more purchase with this digital coupon loaded to your digital coupons account. Plus, here’s a great offer thru July 22! Buy four participating Starbucks items and get a $5 Dollar General gift card! You’ll need to enter the code from your receipts HERE to make sure you get your reward!